Over this first quarter of 2017, our Rangers have conducted over 31 patrols over 77+days and 46+ nights. The total distance covered was 1,108.96km with three instances of foot patrol covering 20.78km+. The rangers conducted 21+ roadblocks in the protected area at the key strategic points such as the road to the core zone, the road nearby villages. 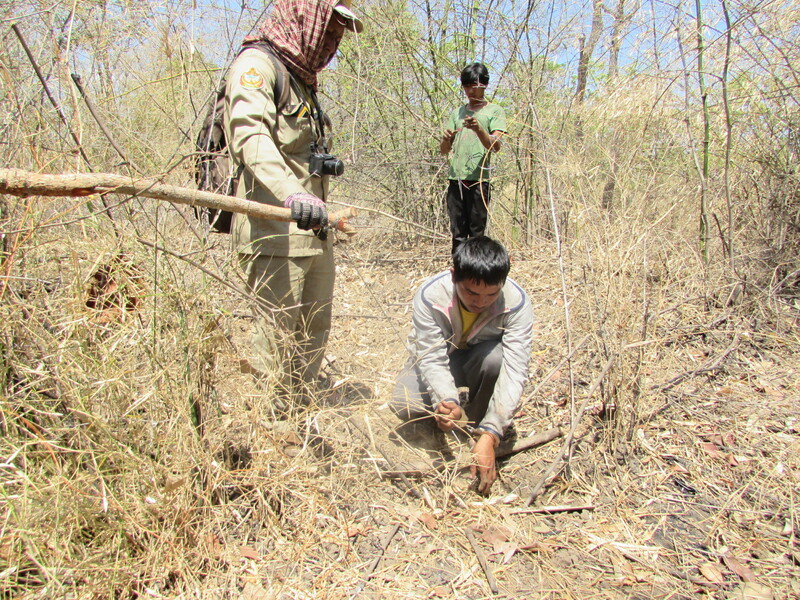 During the patrols by rangers in PPWS, from December – March, 806 snares were removed, four illegal camps destroyed, 39 warning letters issued, 2 home-made gun and 12 chainsaws were confiscated, along with three motorbikes. 244 logs seized and 25 live birds released from poachers. Destroyed two camps and they also educated 17 people on protected area law. In the months of January, February and March our Rangers have conducted over 178 patrols equivalent to over 398 days and 224 nights. The patrols covered a combined distance of 12,000 km including 541km by boat 187 km by foot. 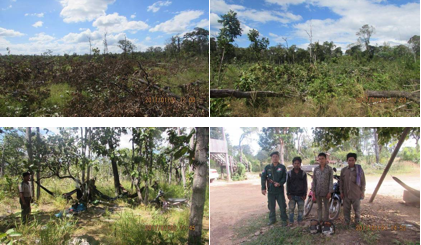 The rangers conducted 145 roadblocks in the protected area at the key strategic points such as the core zone, conservation use zone, near private companies, main road (highway 76), and along the Cambodia and Vietnam border. 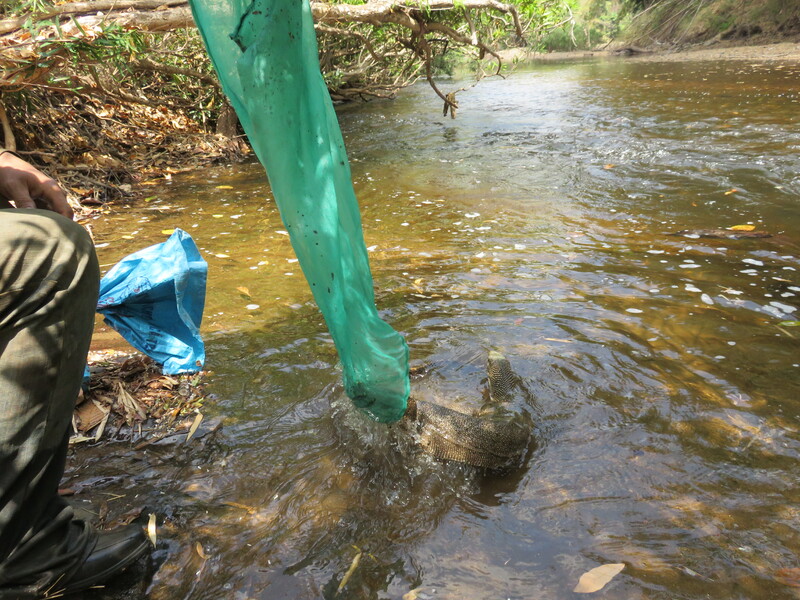 During the patrols, from December – March, SWS rangers removed almost 400 snares, destroyed six illegal camps, issued 42 warning letters, processed ten court documents, confiscated 20 chainsaws, 30kg of wild meat, 519 wood/logs, 50m of electric wire, three electric fishing poles. They also observed land clearing (8ha) and stopped 1 ox-cart intended for illegal use. We train community members to protect their forests by patrolling the woods to stop poaching and illegal logging. It helps develop initiative and investment into protecting their natural resources. After all, it is those who live on the fringes of the forest that have the most access to it, having them claim responsibility towards the protection of the forest is a huge step forward for us. Over the last three months, the community has patrolled 174km (25 by foot) for six days and four nights. Removed 20 snares, issued two warning letter, confiscated one chainsaw and one motorbike. 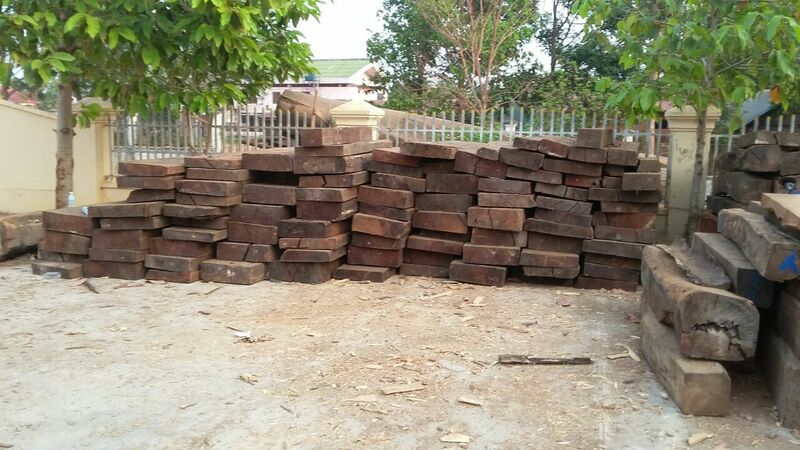 Seized five luxury wood logs. Educated 10 people (2 of whom were women) who were crossing PPWS for NTFPs and traveling from Memorng commune to Sok San commune. Destroyed one illegal camp. The Mobile Enforcement Unit (MEU) was established in May last year and has done a lot of successful work since. They collaborated with the provincial police and were supported by judicial officers from court offices in order to implement road blocks, restaurant checks and market raids. The MEU conducted monitoring surveys in the Sen Monorom market and bus station on 45 occasions during this quarter. They raided and checked thirty-four times at Sen Monorom market, once at O’romish, performed 65 road blocks, at Chamka Srorl once, Krang Tes twice, Phum Thmei once and collaborated with CPA on one occasion to patrol in the community zone to check for illegal logging. Almost a month after the previous raid, our MEU team planned to check all the booth sellers for wild meat sales at the Bousra waterfall, Pu Teun village, Pechreada district, Mondulkiri Province.​On the morning of 20th February our MEU which consisted of four people – two Law Enforcement Assistants and two police officers– worked with the owner of the Waterfall Resort and divided into two groups. 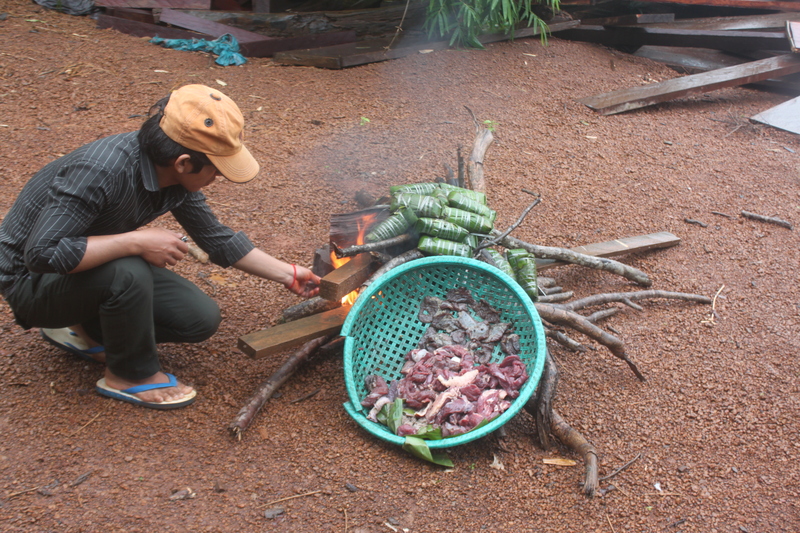 The first team scouted through the cooking areas and the second explored the surrounding forest. The second team discovered a crooked old road and as they surveyed the area found an icebox with 5 kgs of red muntjac meat. No arrests were made as the meat was hidden and one couldn’t locate the owner of the box. On the 12th of February 2017, the Mobile Enforcement Unit received a tip about a Bear spotted in someone’s’ house in Royor Village. They immediately rushed to investigate, however, they arrived to find that it was already deceased. The owner of the house claimed that they were out at the field and returned to find the animal dead, and that he must’ve fallen out of the house and then died. The bear skin was confiscated and the carcass was destroyed at the Trach Outpost. We issued a warning letter to the owner of the house. In early February, our rangers and the WWF law enforcement team was patrolling along Highway 76 which cuts through Srepok Wildlife Sanctuary.​The team was observant enough to discover two camps by spotting smoke from the ​distance. The team immediately contacted the Pou Chrey Outpost for assistance.​ At the camp the team discovered three men (one adolescent) and one woman. The forest around the camp had suffered approximately 5 ha of clearance. ). After questioning the three adults were sent to the PDoE for further action. The adolescent male was sent back home with a warning.